Drug targets identified using genomics analysis or genetic knockout approaches may not be biochemically characterized and their sequences may be sufficiently divergent from proteins with known biochemical function to preclude functional identification using straightforward BLAST sequence comparisons. 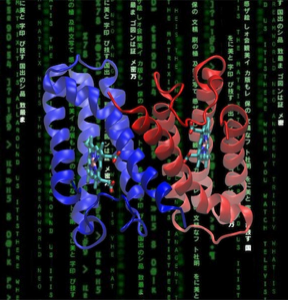 Targets that are enzymes often utilize cofactors that confer structural changes on the protein-cofactor complex that are important for inhibitor binding. For this reason, it has proved useful to initiate thermofluor HTS campaigns by screening a library of known cofactors and substrates to determine if any bind to the target protein, and should consequently be included as an assay component. As a simple extension, knowledge that a protein binds a specific cofactor and or substrate can define more focused sequence comparison approaches or biochemical experiments that that determine a protein's actual biochemical function.